Telluride has a reputation that it’s a hard place to get to, which some people think is a good and bad thing. I’m going to dispel that notion and give you some tips to have a lot of fun along the way. I don’t think of Telluride as exclusive, I think of it as intentional. Very few people are just passing through, we are 6.5 hours from Denver, 2.5 hours from an Interstate, 65 miles from the nearest fast food restaurant and 42 miles to the nearest stop light. But once you are here, you are here, and because of Telluride’s incredible gondola transportation system, you don’t need a car. More people drive to Telluride in the Summertime than in the winter, where most guests take shuttle transportation from the airport. Please contact me for additional information and discussion on travelling to Telluride. To stay informed, sign up on my website at www.telluriderealestates.com and Like my Facebook page at Telluride Real Estate News. How can I assist you today? More people drive to Telluride in the summer than in the Winter, but if you like to take to the skies, Telluride has never been easier to get to than the summer of 2017. The beautiful summers in Telluride offer incredible music festivals, golf, hiking, mountain biking, white water rafting, and fly fishing to name of few popular Telluride activities. My family and I enjoy chasing waterfalls, wildflowers and tasty edible mushroom hikes. Escape the heat and enjoy our amazing alpine summer with an average high temperature of 73 degrees. I’m pleased to offer you our summer flight schedule. And remember, Durango and Grand Junction airports are also viable to fly into. 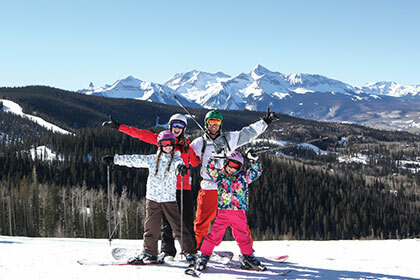 Please contact me for additional information about getting to, staying and playing in Telluride. To stay informed, Like my Facebook page at Telluride Real Estate News. How can I assist you today?